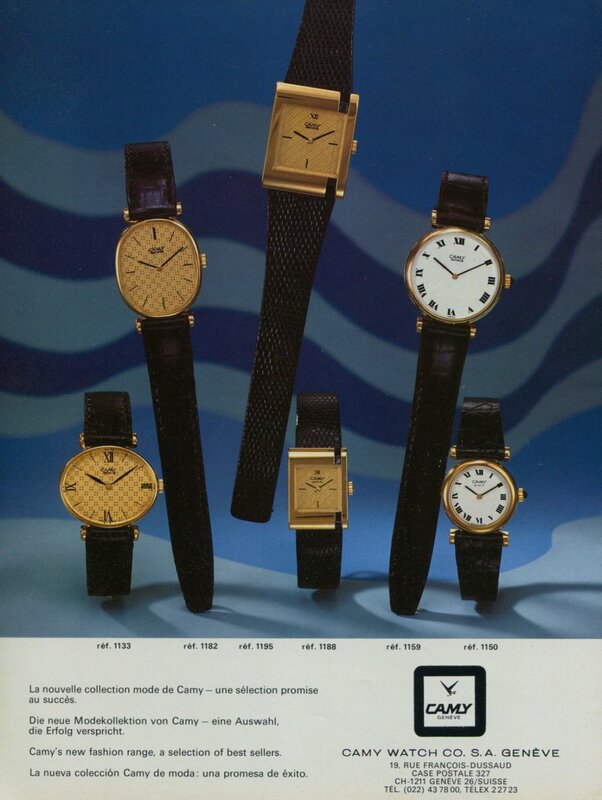 Original two-page Swiss magazine advertisement from the year 1976 for Camy Watch Company S.A., Geneva, Switzerland (Geneve, Suisse). The advertisement was carefully removed from a Swiss magazine. The ad is comprised of two separate pages. Each page of the ad measures approximately 7 3/4 inches wide by 10 1/4 inches high (including margins, if any). The ad is comprised of two separate pages. There are a number of small bends on the pages.